Various Saturday dates available for this one day workshop. 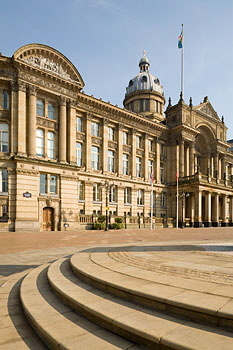 This City Photo Walk takes in the UK’s second largest city to its itinerary, which features arguably the UK’s most stunning building. 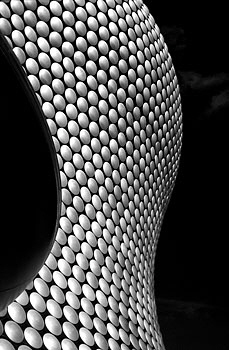 The Selfridges store was built in 2003, as part of the rejuvenation of the famous Bullring Shopping Centre in the heart of Birmingham. The building is a genius piece of work by architects Future Systems and a photographers dream. Covered entirely in 15,000 shiny, aluminium discs and supposedly inspired by a Paco Rabanne sequined dress, it bends and curves around its exterior, producing the most wonderful shapes and compositions to photograph with a camera. During the photo workshop we will cover a range of techniques required for urban photography. 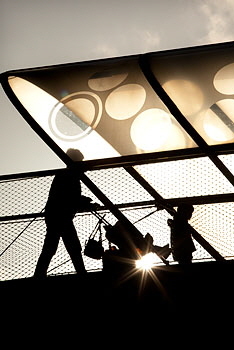 We’ll look at the use of different lenses, creating abstracts, shooting for impact and making creative compositions. The workshop starts at 10.00am and lasts 5-6 hours. The photo walk is a One2One workshop, to guarantee personal tuition and individual help where needed. A Digital SLR. Alternatively, you can even bring a bridge camera or Compact System Camera, such as the Olympus OMD or Fuji X-Pro, as this will suit our shooting style for the day. A range of lenses from wide angle to telephoto. Any filters you have will be useful, but we have a range of Lee Filters for you to try. No tripod is required, as we will shoot handheld and tailor our cameras to suit this style of shooting. Waterproof clothing and sensible footwear. 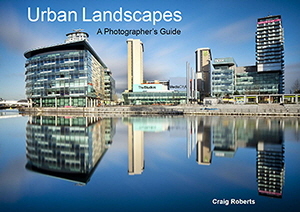 The workshop price also includes a free copy of my eBook ‘Urban Landscapes’. This book covers many of the techniques that will be demonstrated on the Birmingham Photo Walk and therefore makes an ideal companion to the workshop. To book a place, please e-mail me to request a suitable date, then complete the booking form below and return with full payment or pay via the PayPal option below.